In today's blog, I'll present 10 tips on detoxing from the inside out to help you decide if doing a detox is right for you, plus I'll bust some common myths. Detoxification is about getting rid of toxins in the body and cleansing our organs from environmental pollutants, food waste, harmful bacteria and other substances such as alcohol, medications, and parasites. The most common reasons I hear why people feel the need to detox are a) they want to "cleanse" after overeating/drinking, b) they're always feeling tired and think detoxing will give them an energy boost, and/or c) they want to lose weight. Here are 10 tips to help you detoxify your body without having to go through a detox diet. Tip #1 - Include natural detox choices in your daily life. Many people think that a “cleanse” or “detox” will undo the damage from over-indulging and rid toxins from our bodies. This is somewhat false because a detox may help you feel cleansed in the short-term, but once off the detox plan, there needs to be a sustainable long-term plan, otherwise, one may go back to old ways and over-indulge, gain weight back, etc. The truth is, the human body is a natural detoxification machine! It's designed to constantly get rid of waste. The colon and kidneys are key organs to help eliminate waste through urination or bowel movements. The kidneys are key players in removing waste from the blood and regulating the water fluid levels. The lungs filter out toxins in the air we breathe and expels it as carbon dioxide. The liver is a complex organ that has many functions including helping the body get rid of waste, toxins, and other substances. The skin is our largest organ and allows toxins to be eliminated through sweating. Often when the other detoxifying organs are compromised, toxins will begin to come through the skin as acne, rashes, blemishes, pimples or sores. The lymphatic system consists of lymph fluid which contains white blood cells that flow through the body, and its job is to collect unwanted "debris" such as fats, bacteria and other harmful materials. The debris is filtered through the lymph nodes which act as filters and capillaries. Through our daily movement, the debris gets eliminated through our body's natural detoxification processes such as bowel movement/urination, sweating, and breathing. So you can see that the human body has its own natural cleansing process, which can be boosted with regular detox practices. Which is why my best advice for detoxing is to include natural detox choices in your daily life (rather than doing short-term detox programs). No one likes deprivation right? Can I get a here here? Many people believe that detox equates to dieting. In other words, eliminating various foods and sipping on green juice all day! This is false. Detox doesn’t mean deprivation. Instead, think about detoxing as adding more plant foods to your diet that will help alleviate that stuffed feeling from overeating/drinking. Add in veggies and fruit that stimulate your body’s natural detoxification system, such as cruciferous vegetables (bok choy, broccoli, brussel sprouts, cabbage, cauliflower, rapini, watercress, etc) and berries. Eat more plant-based proteins such as whole grains, legumes, nuts, and seeds. Have less or no animal protein which lessens your exposure to hormones and potential chemicals or pharmaceuticals. Try to go organic when possible to further minimize exposure to potential toxins. You see, detoxing is not about cleaning your body, but rather re-nourishing your body by adding the right kind of nutrients to help your body convert toxins to a water-soluble form for excretion through bowel movements and urination. Tip #3: Eat moderate amounts of food and listen to your body. Eating too much accumulates more toxins in your body. Tune into your hunger and satiety cues. Simply eat when you’re hungry and stop when you’re comfortably full (and not stuffed). Sometimes we simply eat because it's supposedly time to (e.g. lunch is at noon, dinner at 6:30 pm). However, I'd like to challenge you to eat when your stomach tells you to. Wait for the little tummy grumbling, which is your body telling you it's time to eat and not the clock. Tip #4: Drink water to keep you hydrated and your skin looking healthy. The kidneys are major players in toxin elimination, so keep them clean by drinking enough water to stay hydrated. If you're thirsty, you're already dehydrated. Try not to get to that point. Get into the habit of carrying around a water bottle. Drink at least half your body weight in water ounces per day. E.g. Drink 75 ounces if you're 150 lbs. You may need a bit more if you exercise, engage in physical activity or live in a humid climate. Water keeps you hydrated, and your skin looking healthy. Plus, if you're trying to lose weight, drink water first when you feel the hunger pangs. Sometimes you're not really hungry, you're just thirsty. Tip #5: Drink sugar-free, dairy-free, decaffeinated drinks. Herbal teas are a good choice. Take a break from inflammatory foods like sugar, dairy, gluten, caffeine, and alcohol. Tip #6: Limit or eliminate sugary snacks and refined carbs. Limit your exposure to low-nutrient and inflammatory foods such as chips, cookies, pastries, and muffins. Ever feel like you can go through a bag of chips or cookies, yet still feel hungry? That's because these foods are empty calories and you're not getting the best bang for your buck. These hyper-palatable foods don't fill you up (yet you're consuming the high calories), so you may end up eating more than necessary. Replace these snacks with more nutrient-dense foods that will give you energy and keep you satiated longer. Try apple slices with nut butter, veggie sticks + hummus or guacamole, nuts and seeds, berries or green smoothies. Tip #7: Get regular exercise and/or movement. Regular exercise helps remove toxins from your body and shed fat. There are toxins in subcutaneous fat (fat you can pinch), and exercise can help shed that fat. A common myth is that detox diets help shed fat. This is false. You may lose weight, but not fat. Detoxing rids water weight and muscle mass. So if you want to lose weight and keep lean muscle, eating well and exercising is your solution versus detoxing. You sweat. The skin is cleansed from the inside out through perspiration. Many toxins can be eliminated through the skin by sweating. Moving the body forces heavier breathing, circulation, stretching, and sweating - all which speed up detoxification. Plus by drinking more water, your body can flush out toxins, fats and waste even more effectively. Moving the body helps to circulate both blood and lymph. The more they circulate, the more the liver and lymph nodes can do the job of cleansing and purify the blood and lymph. Exercise improves digestion and bowel movement. Exercise strengthens the heart and helps the lungs increase their capacity to expel carbon dioxide as a waste product. If you can't fit in regular exercise, then at the very least, move often in your daily life. 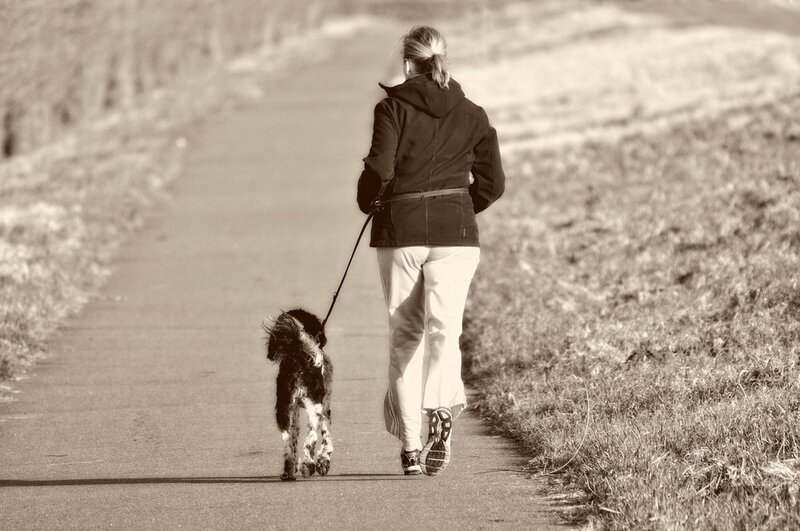 Get up and walk around frequently, stand up vs sitting too much, take the stairs, park further away, do chores vigorously, walk the dog...really anything that moves your body and increases your heart rate is better than being sedentary. Tip #8: Stop eating after dinner. Try and give your body a 12-14 hour fasting window. This gives the body a break from food and digestion. Sleep may be improved as well if you don’t have a full stomach as you’re trying to sleep. Tip #9: Get 7-8 hours of quality sleep. The glymphatic system is the body's natural waste disposal system for the brain. It acts similarly to the body's lymphatic system, but is managed by brain cells. The glymphatic system clears away toxins or waste products that's implicated in brain diseases, such as Alzheimer's disease and other neurological disorders. Studies indicate that the glymphatic system is nearly 10 times more active during sleep. Meaning, the sleeping brain removes significantly more plaque in the brain than the waking brain. So it’s important for adults to get 7-8 hours of quality sleep each night to allow the body to properly remove the plaque and leave you feeling refreshed when you wake up! Tip #10: Get outside for sunlight and fresh air. This is one of the best natural ways to detox. You’ll get an instant energy boost from vitamin D and by breathing in fresh air. Studies have shown that if you get just 20 minutes of sunshine per day, your body starts producing over 200 antimicrobials to help kill off bad bacteria, funguses, viruses, and parasites throughout your body. So go for a device-free 20-30 minute walk outside everyday! So there you go, 10 things you can do immediately to help your body boost its natural detoxification process. Do you have any other natural detox tips? Please leave a comment.